'I think it' a damned bore', Lord Melbourne cried, upon being informed, in 1834, that he was to be called to the Palace to form a government; he was, he said, 'in many minds what to do'. But his secretary, 'a vulgar, familiar, impudent fellow', to quote Greville, from whom the story has come down to us, persuaded him to accept. 'Why damn it, such a position never was occupied by any Greek or Roman, and if it only lasts two months, it is well worth while to have been Prime Minister of England'. (sic) 'By God, that' true', Melbourne replied --- I'll go!' None of Melbourne' 20th century successors, except possibly Sir Alec Douglas-Home, would have shared his doubts. Most of them sought, with greater or less determination, to reach what Disraeli called the top of the greasy pole. Today, every newly elected MP has a Prime Minister' baton in his knapsack. Whether they enjoyed the job once they got there is another matter. Lord Rosebery, Prime Minister from 1894 to 1895, declared that there were 'two supreme pleasures in life. One is ideal, the other is real. The ideal is when a man receives the Seals of Office from his Sovereign. The real is when he hands them back'. Harold Macmillan said that power was like a Dead Sea fruit. 'When you achieve it there' nothing there'. John Major once asked Roy Jenkins whether he ever regretted not having been Prime Minister. Jenkins is said to have retorted by asking Major whether he regretted having been Prime Minister. Major' response is not recorded. The title 'Prime Minister' was for long a mere courtesy title. It seems first to have been used satirically by Jonathan Swift during the reign of Queen Anne. Walpole, often regarded as the first prime minister, vehemently denied that he was held any special role over and above that of the king' other advisers. The term 'prime minister' was not used in an official document until 1878, when the preamble to the Treaty of Berlin stated that the Earl of Beaconsfield, the ennobled Disraeli, had attended as 'First Lord of the Treasury and Prime Minister of her Britannic Majesty'. The title was not used in any other official communication until, in December 1905, it finally received royal recognition when a warrant of Edward VII addressed to the Earl Marshal, declared that the Prime Minister had precedence after the Archbishop of York. The first man to be officially appointed Prime Minister was, therefore, the now largely forgotten Liberal, Sir Henry Campbell-Bannerman, in 1905. The office did not achieve statutory recognition until the Ministers of the Crown Act of 1937, and even then it was mentioned only incidentally. The office of prime minister, like the British constitution, evolved through a series of accidents. No one created the prime ministership; and, by contrast with, for example, the presidency in the United States and France, there is no document setting forth the powers and duties of the head of the government. From The New Jerusalem to New Labour considers the 11 postwar prime ministers from Attlee to Blair. The jury is of course still out on Gordon Brown. 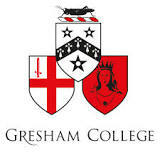 The essays, based on lectures first delivered at Gresham College, seeks to evaluate the aims of the eleven, what they sought to achieve. If few prime ministers could match Lord Melbourne for insouciance, the reason is not that they were abnormally self-seeking, but that they had abnormally strong convictions, even if, for some, such as, for example, Harold Wilson, it was merely the conviction that the country would be much better governed when their own party was in power. Most prime ministers, however, have sought not merely to be in the driver' seat but to steer the coach in a particular direction. Whereas history in pre-modern times is written largely in terms of kings and queens-the reign of Henry VIII or Charles I-the political history of Britain since 1945 can be written in large part in terms of the ideals held by these 11 prime ministers and by their success or failure in achieving them. The premiership of Margaret Thatcher has the same sort of unity as the reign of Queen Elizabeth I. But first it is worth asking, what factors brought the 11 to Downing Street? Until Gordon Brown, the only prime minister who seemed a foreordained occupant of No. 10 was Anthony Eden. Perhaps that was the reason why he was unsuccessful. He had been compelled to wait in the wings for far too long. He had been trained, Harold Macmillan unkindly but presciently remarked, to win the Derby in 1938. Unfortunately, he was not let out of the starting stalls until 1955. And, despite his seemingly endless disputes with Churchill on the date of the great man' retirement, he never really had to fight to win the right to the keys of Downing Street. Every other postwar prime minister has had to fight hard and often tenaciously to achieve the office. Some indeed got there quite unexpectedly. Napoleon always used to ask of his generals-has he got luck? Without it, other qualities-ability, integrity, vision - were quite useless. The first four postwar prime ministers-Attlee, Churchill, Eden and Macmillan-were all products of luck in the sense that, without the Second World War, none of them would have entered Downing Street. Had Neville Chamberlain' policy of appeasement proved successful, a general election would have been held in 1940, an election which the Conservatives would almost certainly have won. Attlee, widely seen as a stopgap leader of the Labour Party, would probably then have been replaced by the more experienced Herbert Morrison. In any case, Attlee would not have been considered for the Labour leadership had he not been one of just two Cabinet ministers to survive Labour' electoral wipe-out in 1931. Churchill, Eden and Macmillan had all been opponents of appeasement, and could not have expected high office in a Conservative government. In any case, Churchill was already 65 in 1940, a figure of the past, not the future. Eden had resigned in 1938 in protest against Chamberlain' attempt to appease Mussolini, and would have found it difficult to work his way back into the upper reaches of the Conservative Party. Macmillan was an eccentric back-bencher with no significant following. It is hard to find anyone in the 1930s prepared who would have predicted that he would one day be his party' leader. The next two prime ministers - Alec Douglas-Home and Harold Wilson-were similarly lucky. Home was the beneficiary of the sudden illness which brought Macmillan down. Amidst the chaos and confusion of the 1963 party conference, he seemed, for the moment at least, the wise statesman who could rescue the party. Wilson, like Blair in 1994, was the beneficiary of the sudden death of his predecessor-Hugh Gaitskell in 1963, John Smith in 1994. Both Gaitskell and Smith would almost certainly have become prime minister had they lived. Under Gaitskell' leadership, Wilson' chances of advancement seemed limited. He was widely distrusted by the Gaitskellites for having stood against the leader in 1960 after Gaitskell had been defeated at the party conference on the issue of unilateral nuclear disarmament. He was also widely distrusted amongst backbenchers. But, faced with a vacancy for the leadership itself, MPs felt unable to entrust its responsibilities to the unstable and alcoholic Brown. Wilson was chosen faute de mieux. A few years earlier, there would have been other alternatives such as Alfred Robens who had left politics in 1960; a few years later, the field would have widened since younger men such as Crosland, Healey and Jenkins would have had a chance to establish themselves. Margaret Thatcher and Major were even more products of luck. Six months before they became party leader, hardly anyone could be found who would have predicted their rise. In 1974, Margaret Thatcher seemed little more than a not particularly successful former Education Secretary. It was the unwillingness of any other front-ranking Conservative to challenge Edward Heath, discredited by two general election defeats, that gave the first female prime minister her chance. Had Heath resigned immediately after losing the October 1974 general election, she would probably not have been in the running. John Major, too, found himself in the right place at the right time when Margaret Thatcher was defenestrated by her party in November 1990. When the game of pass the parcel finally stopped, he it was who found himself in possession. In the 19th century, many prime ministers could have made their mark in fields other than politics. Gladstone could have been a classical or theological scholar, Disraeli a novelist, Rosebery a biographer, while Lord Derby spent his leisure translating the Iliad into blank verse, as well as French and German poetry and other classical works. Their postwar successors have been less remarkable. Of the 11 prime ministers, the only ones who might had outstanding careers outside politics were Churchill, who could have become a professional writer or perhaps a general, and Macmillan who was also a highly successful publisher. But all of the eleven, including Churchill and Macmillan, and including the one seeming amateur amongst them, Sir Alec Douglas-Home, were highly professional politicians. Some of them had what Denis Healey called hinterlands-areas of interest outside politics-Churchill his painting, Heath his music, while Attlee relaxed by reading the works of the forgotten Victorian novelist, George Meredith-but all of them lived primarily for politics. When Lloyd George entered No 10 in 1916, he told his loyal supporter, Christopher Addison, that, with the exception of Disraeli, he was the first Prime Minister 'who had not passed through the Staff College of the old Universities'. He had forgotten Wellington. Of the 11 postwar prime ministers, all but three had been to Oxford. The other three had not been to university at all. They make an incongruous trio - Churchill, Callaghan and, finally, John Major, who, as assiduous journalists discovered, left his grammar school at the age of 16 with just three O levels. 'Never', Major used to say to those who inquired about his education, 'has so much been written about so little'. The first four Conservative prime ministers after the war-Churchill, Eden, Macmillan and Home-exemplified the patrician style which seemed between the wars to have been superceded by industrial capitalists-Bonar Law, Baldwin and Chamberlain. More often, in the postwar period, prime ministers have sought to present themselves to the electorate as ordinary men writ large. The first prime ministers to attempt this had been Campbell-Bannerman, Bonar Law and Stanley Baldwin. 'I am just one of yourselves,' declared Baldwin, in what may have been an accurate estimation of his abilities, 'who has been called to special work for the country at this time. I never sought the office'. Both Attlee and John Major might have said the same. A heroic figure such as Churchill, whom Roy Jenkins believed to be the greatest Prime Minister ever to have occupied 10 Downing Street, would probably never have achieved supreme power except in wartime. Indeed, after the Munich agreement in 1938, less than two years before becoming Prime Minister, he was facing deselection by his local constituency party in Epping declared. Most observers thought that his time had passed. After nearly 40 years as an MP, he had a following of just three - his son in law, Duncan Sandys; Brendan Bracken, the newspaper proprietor;; and an eccentric publisher, Harold Macmillan. Churchill' political fortunes were transformed by the very personal intervention of Adolf Hitler, as Harold Macmillan was to remind him in October 1954., 'It took Hitler', Macmillan insisted, 'to make him P.M. and me an under-secretary. The Tory Party would do neither--- '. Luck, then, is as important as ability. How powerful is the Prime Minister? Can the Cabinet control a determined prime minister? Have general elections become plebiscites between competing leaders? There is a large political science literature that seeks to answer these questions. The trouble is, however, that they can be answered, if answered at all, only by adopting a much longer historical perspective than political scientists generally allow themselves. The claim that the Prime Minister has become over-powerful seems to have originated during the administration of Sir Robert Peel from 1841 to 1846. After Peel' resignation in 1846, Gladstone complained to him that 'Your Government has not been carried on by a Cabinet, but by the heads of departments each in communication with you'. Complaints about bilateral relations in Cabinet or 'ofa government' are nothing new. By 1889, when John Morley wrote, in his biography of Walpole, a chapter on the Cabinet - a chapter which had in fact been written by Gladstone - he could declare that 'The flexibility of the cabinet system allows the Prime Minister to take upon himself a power not inferior to that of a dictator, provided always that the House of Commons will stand by him'; while, in 1963, shortly before the end of Harold Macmillan' premiership, that Richard Crossman, writing a new introduction to Bagehot, declared that 'The post war epoch has seen the final transformation of Cabinet Government into Prime Ministerial Government'. In 1965, a book appeared describing the prime minister as an 'elected monarch'. Fears of overweening prime ministerial power are nothing new. In fact, the thesis of increasing prime ministerial power or the 'presidentialisation' of the role of prime minister, is far too simplistic to account for the complex facts of modern political life. The power of the prime minister depends, and always has depended, upon vicissitudes, electoral and personal, and no clear evolutionary trend is discernible. Those who believe that there has been a progressive accretion of prime ministerial power are ahistorical. They overrate the power of a modern prime minister and underrate that of prime ministers of the past. Gladstone and Lloyd George were at least a powerful and dominant over their colleagues as Margaret Thatcher and Tony Blair. Balfour, not normally thought of as a 'trong' prime minister, peremptorily sacked three Free Trade ministers in 1903; Campbell-Bannerman did not bother to tell his Cabinet about staff conversations with France, initiated by his Foreign Secretary, Sir Edward Grey, in 1905, conversations which in effect laid the basis for a mutual security pact, while Churchill committed Britain to the defence of Soviet Russia in 1941 without consulting anyone at all. Attlee, as Peter Hennessy has shown, kept from his Cabinet the announcement that Britain was to become an atomic power. There is no mention of it in the minutes of the crucial Cabinet meeting of 6 May 1948, nor in the handwritten record of the Cabinet Secretary. When asked ten years later why he had hidden this from his Cabinet, Attlee replied, of his colleagues, 'I thought some of them were not fit to be trusted with secrets of this kind'. Harold Macmillan sacked seven Cabinet ministers-one-third of his Cabinet-in 'the night of the long knives' in 1962. Modern prime ministers may envy these precedents. They are not always able to emulate them. Most Prime Ministers have felt the limitations of their position more than its strengths. Today, the power of a modern prime minister depends, not only, as Morley suggested, on whether the House of Commons will stand by him, but also upon his standing with the electorate. If Margaret Thatcher and Tony Blair seemed powerful Prime Ministers, it is because, we, the voters, made them such, by giving them, under our peculiar electoral system, landslide majorities. Perhaps our resentment at the power which the prime minister was then able to yield is merely the rage of Caliban looking at himself in the glass. Even so, Margaret Thatcher was eventually pushed out by her colleagues, while Tony Blair was forced to accelerate his retirement. Of postwar prime ministers, only Harold Wilson left office voluntarily. Eden and Macmillan resigned on grounds of ill-health. The rest sought, in Churchill' graphic words, to stay in the pub till closing time, only to be removed either by the voters or by their colleagues. Caliban has proved a fickle master for postwar prime ministers, but none of them have been able to escape his verdict. What is clear is that only a strong prime minister can give a government a clear sense of direction. Where a prime minister fails to do so, as most notably perhaps with the Cabinets of Anthony Eden, Harold Wilson or John Major, government fails and the Cabinet becomes little more than a federation of departments. Cabinet government, if it is to work effectively, presupposes a strong prime minister with clear aims and a determination to achieve them. There is, therefore, no contradiction between a strong prime minister and Cabinet government. The one presupposes the other. Perhaps the best account of the role of the prime minister was written well before the postwar era, in a book by H.H.Asquith, prime minister from 1908 to 1916, entitled, Fifty Years of Parliament, published in 1926. Asquith realised that, precisely because the premiership was a product of historical evolution rather than a constitutional document, 'There is not, and cannot be, from the nature of the case, any authoritative definition of the precise relation of the Prime Minister to his colleagues'. 'The office of Prime Minister', Asquith went on, 'is what its holder chooses and is able to make of it'. It is hoped that this book will cast some light on what the postwar holders of the office have been 'able to make of it'. No doubt, biographies of prime ministers and essays on prime ministers, such as the present collection, tend, inevitably perhaps, to exaggerate the role. But, of course, prime ministers cannot run their governments all on their own, without needing to secure the consent of their colleagues or advice from their officials. Indeed, the success of some Prime Ministers-Attlee is a fine example - consists less in what they themselves achieved than in their skill at harnessing the energies of a formidable and potentially fractious team of ministers towards common goals. But to be a great manager is not the same as being a great leader. Many great leaders-Churchill and Roosevelt are obvious examples-have been poor managers. Conversely, some great managers have been poor leaders in the sense that they have been unable to inspire or give a general sense of direction to government. The manager helps an organisation survive, the leader gives it a sense of purpose. Most prime ministers, indeed, have sought power, not primarily for its own sake or for purposes of self-aggrandisement, but because they had large public purposes which they sought to fulfil, and which, so they believed, only they could fulfil. That, at least, is the perspective from which these essays have been written.